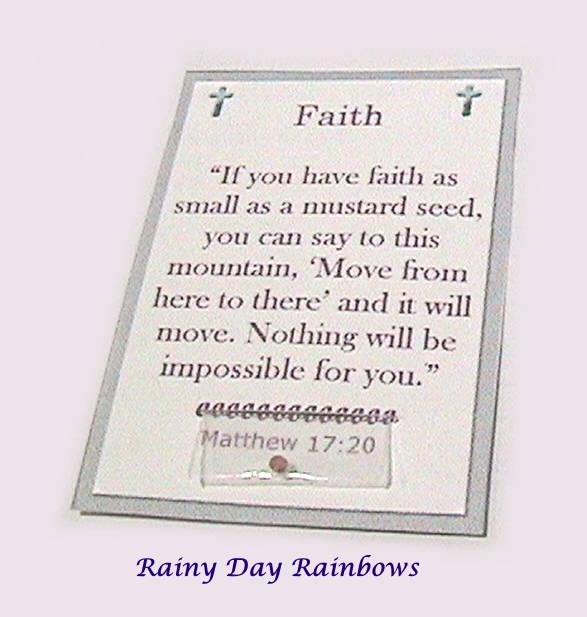 Unique Mustard Seed Faith cards with the parable of the mustard seed. Each card has its very own mustard seed! Box of 15 cards. Complimentary “Believe” charm included with purchase. Designed by Rainy Day Rainbows © 2019.